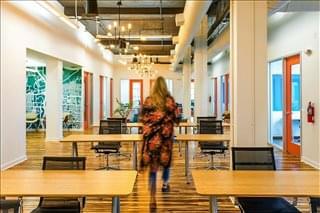 Offices.net features commercial properties and office buildings in prime Kansas City business areas, offering private offices, office suite solutions, medical office space, retail space, shared office space and coworking spaces for lease in a range of sizes and configurations. Virtual office solutions are also available. Private Offices & Executive Suites: Offered fully furnished and inclusive of a number of business services, facilities and amenities, our executive suites and private offices for rent are located in professional business centers and high spec modern office complexes. You don't need to worry about furnishing or build-outs as all of the furniture, equipment, cabling and connections are already set up and ready for you to move in and get to work. Shared Office Space: Kansas City coworking options are available in both dedicated cowork spaces and mixed serviced office settings that offer a variety of other workspace options. Shared office space is typically more cost effective than renting private office suites and it provides an open, collaborative environment in which to work on projects, network and interact. 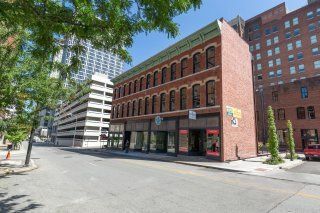 Virtual Office Solutions: Do you need a business address in a prime Kansas City location but aren't yet ready to commit to actually renting modern office space? We have properties that offer virtual office solutions, ideal for freelancers, entrepreneurs or people who, for whatever reason, prefer to work from home or coffee shops. Prime Locations: The Kansas City office market is split into a central business district and several suburban sub-markets. 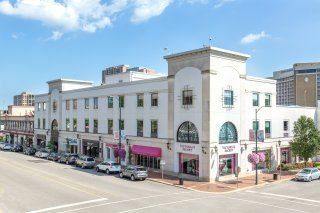 Unlike in other cities where demand is stronger in the Central Business District, in Kansas City out-of-town offices are in high demand and as suburban areas are set to expand as a result. 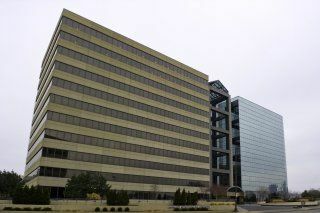 Office buildings like One Kansas City Place and Crown Center are considered prime office destinations, although areas like the College Boulevard Corridor are in high demand among telecom and finance corporations. 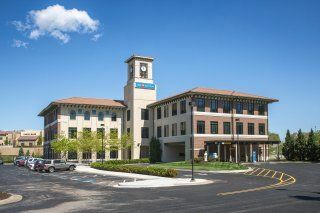 Other popular areas for business owners in search of spaces in Kansas City include the office parks located in south Kansas City, and more specifically to the south of the downtown Kansas City area, such as Cloverleaf, King's Clove, and Southcreek. Vacancy Rates: Market indicators are generally stable, although following the relocation of several large firms to suburban areas, demand for office space is growing rapidly and certain sub-markets have achieved record low vacancy rates along with steady increases in lease rates, especially in the Overland Park area, located approximately 12 miles south of central Kansas City. Cost of Office Space: Average asking rents are just below $20 / sq ft / year for Class A and $18 for Class B. Generally speaking, the lowest rental rates can be found in Northland (North Kansas City), and Crossroads, and the highest in Plaza and South Johnson County (2017 data). Offices.net was created to help companies find new premises with as little hassle as possible. Flexible contracts and competitive pricing allows companies of any size and budgetary requirement to find a location in Kansas City that is ideal for them. We work hard to ensure that the entire process is as easy as possible for the companies we assist. 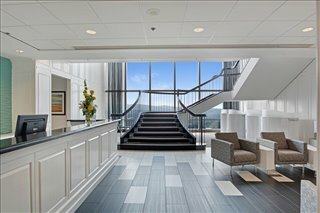 Most of the business centers, office parks and the Kansas City commercial properties listed on Offices.net offer office space for rent that is inclusive of a wide range of office support services consisting of dedicated front desk reception and building security, conference rooms and lounge areas, event space, dining facilities and break out rooms. Many of the properties also feature high speed internet, cabling and telecoms, dedicated desks, free onsite parking or a parking garage area, 24/7 access and on site IT support staff. Select from any of the office spaces in Kansas City, displayed above. All of the Kansas City office spaces for lease on our website are situated in good business locations and are offered on flexible terms, allowing you to find office space available for whatever period you need. With a population of nearly half a million people, Kansas City is one of the largest and most important urban centers in the Midwest. The city was established as a trading post due to its location on the Missouri River and expanded quickly during the 1960s and 1970s. Nowadays, Kansas City boasts a strong and diverse economy supported by a fast-growing population. Economy: The city's economic profile is made up of firms involved in the automotive, pharmaceutical, manufacturing, construction, freight, and logistics sectors. 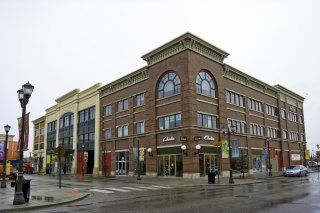 In addition, retail, arts, and entertainment are thriving sectors in city center after several regeneration projects that started in the 2000s. Key Employers: Key employers are mainly public sector institutions, since Kansas City is home to many regional headquarters of the US government, including the Internal Revenue Service, the General Services Administration, and the National Nuclear Security Administration. Other large employers include Ford Motors, Harley Davidson, Sanofi-Aventis, HCA Midwest Health, Sprint, Kansas City Manufacturing, Children's Mercy Hospital, US Bank, Bank Midwest, Catalent Pharma Solutions, and Hallmark Cards. Workforce: Kansas City employers have access to a trained and educated workforce, since 28 percent of working age residents are college graduates. Moreover, unemployment levels are usually one percentage point below the national average. Business Support: Other advantages of setting up a business in Kansas City include low business costs and a strategic location. In fact, the state of Missouri has one of the five lowest corporate income tax rates in the United States and its urban centers are known for offering state-of-the-art support to start-ups and micro-enterprises. Business Incentives: Some of the programs and incentives available include the Small Business Growth Program, the EDC Revolving Loan Fund, Enhanced Enterprise Zone Tax Credits, and Missouri Works Tax Credits. More information is available from the Kansas City Economic Development Corporation, Kansas City Bizcare, and Kansas City Source Link. With short term and flexible rental agreements, your business will have the benefit of a prestigious business address in Kansas City, Missouri inclusive of a wide range of support services and amenities, without the long-term commitments of a conventional office space for lease. Whether you are looking for private or shared office space for lease, retail space, medical office space, or virtual office solutions, Offices.net is here to help. View the available office spaces in Kansas City on the site or contact us to discuss your specific requirements.